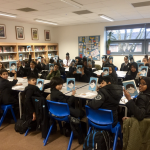 Give a Book works with the school librarian for Tower Hamlets Schools Library Services, Lucy Chambers, who works to deliver library projects which develop enjoyment of reading in four primary schools in the borough. 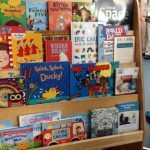 There is a high level of social deprivation in Tower Hamlets but thanks to the work of experienced librarians like Lucy, children not only enjoy a wide variety of books, but are also stimulated and encouraged through events including author visits, competitions, creative writing activities and events. 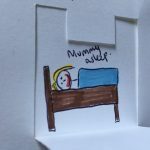 Give A Book has contributed to many projects in these schools, providing new series of popular books, graphic novels and magazine subscriptions, depending on what has been requested by the pupils. Give a Book also supported Globe Primary School’s excellent idea to publish Globe’s Little Book of Stories, a compilation of stories written by children from nursery to Year 6. The pupils love looking through Globe’s Little Book of Stories every year to see what their peers or siblings wrote. 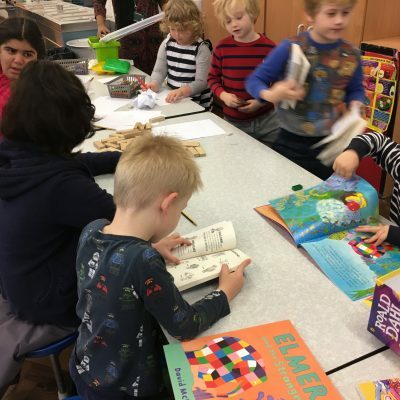 In John Scurr Primary, the Magic Breakfast Book Club launch, supported by Give a Book, enabled children to independently choose and borrow books to share with their families, a first for this school at the time as it did not have a library.